Dog Bite Attorney San Francisco, CA | Bracamontes & Vlasak, P.C. According to the Center for Disease Control (CDC), 4.5 million dog bites occur in the United States every year. Approximately nine hundred thousand of those dog bite incidents result in medical treatment. 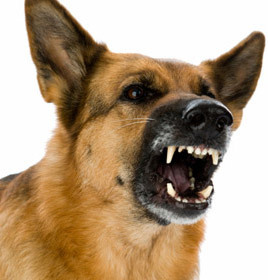 Sometimes dog bites or attacks result in serious injury or death. In 2006, the CDC reported that 31,000 people underwent reconstructive surgery as a result of dog bites. In California, dog owners are always responsible for their dogs’ conduct. If a dog bites or injures an individual, the dog’s owner is responsible for the damages regardless of whether the dog had shown any prior behavior that would have been considered dangerous. Dog owners can also be held liable if their dog jumps or leaps on a person and causes injury. Although liability in that type of a situation is not automatic, as it is when the dog bites someone, general principles of negligence will apply. In other words, if the dog’s owner was careless or disobeying relevant dog statutes (e.g. not having the dog on a leash), the owner can be held liable for the injuries caused including, but not limited to, medical bills, emotional distress, and property damage. Dog owners are also responsible for getting their dog vaccinated for rabies. Health & Safety Code § 121690 requires dog owners to obtain a license for their dog every two years certifying that the rabies vaccination has been administered and the dog is rabies-free. If you or a loved one has been seriously injured by a dog, please contact a dog bite attorney at Bracamontes & Vlasak, P.C. We will be happy to provide a free no obligation consultation concerning your situation. While our main office is in San Francisco, our firm routinely handles matters in Alameda County and is affiliated with the Alameda County Bar Association Lawyer Referral Program. Contact a San Francisco dog bite injury attorney at Bracamontes & Vlasak today for a free consultation about your case. We can also be reached by phone at 415.835.6777.